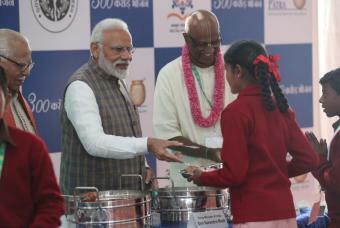 Akshaya Patra mission is to reach out to 5 million children by 2025. We are helping underprivileged children by providing them with a healthy, balanced meal that they would otherwise have to work for. The meal is an incentive for them to continue their education. It helps reduce the dropout rate to an enormous extent and increases classroom attendance.